Sure Bathrooms offer a complete bathroom renovation service from start to finish. Working with a local team of fully certified and registered tradesmen provides emphasis on the highest quality craftsmanship. Andy Redpath has over 30 years experience within the plumbing industry and is a Registered Craftsman Plumber trained in New Zealand. His experience on the tools, in business ownership and commercial project management has further fueled his passion for bathroom design and project management. Listening to our customers, our open and thorough communication process, and a high standard of workmanship that speaks for itself and is where we shine. Based in the Hibiscus Coast area of Auckland, Sure Bathrooms design and renovation services are available throughout the North Shore and Rodney regions. Our principle objective is to give every client peace of mind, by creating their dream bathroom using top quality workmanship and products within an affordable budget. We specialise in complete Bathroom Renovation & Design. We have 3 bathroom designers all using our exclusive 3D bathroom design software that includes NZ bathroom product. This gives you virtual images of your to be completed bathroom before we start, so you know what you are getting. All our bathroom renovations have a 5-year transferable warranty. Each bathroom renovation is oversean by a project manager making sure you get what you want. 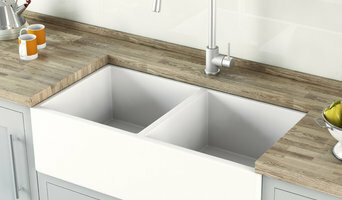 For more than 22 years, Home Trends has been leading the way in bathroom and tiling solutions. With our knowledge and experience, we are experts in helping people find the right products, advice and service. Our commitment to excellence, together with many years of experience makes us the ideal choice for your renovation. Our Project Manager manages the entire installation so that you can be assured of a quality solution that suits your style, needs and budget. Home Trends offer a number of different solutions to suit everyone. Whether it be a product-only package ready for your trades team or a full design, supply and install service, we are here to help. Residential Project Management - from your idea to renovate managed through to delivery of your home. Your bathroom is central to the way you live. Reliable performance, exquisite design and customer service that are second to none should be central to the creation of your bathroom. So chose Robertson. You can trust us to bring the highest standards of quality, style and innovation to the space you create. Established in 1987 and proudly New Zealand owned and family operated, Robertson import Europe’s most innovative bathroom products. But we do more than that – we import ideas, creating opportunities for New Zealand architects and designers to innovate and reinvent the bathroom space. Our motto at Plumb’In – “Beautiful Bathrooms, Factory prices!” on all our products; including showers, toilets, bathtubs & spa baths, vanities, basins, tapware, accessories and everything in between including kitchen and laundry supplies Bathroom Specialist – When you come to Plumb’In you know you are getting professionally trained staff that know the ‘in’s and out’s’ of bathrooms. All our staff and store owners are trained bathroom specialists armed with the right knowledge to make sure you get it right first time avoiding costly mistakes. At Plumb’In we aim to make your building or renovations as easy as possible. Low Prices – At Plumb’In we deliver what matters to our customers when it comes to buying a bathroom, high quality products at low prices. The combination of our buying power, shrewd negotiating and low overheads means that our bathroom shops can offer direct prices on many of their lines, without any gimmicks - making bathroom renovations affordable. Great Service - We are committed to making your dream bathroom a reality. Therefore we are with you every step of the way. Our service doesn’t end when you have bought the products we loved to hear how your bathroom is going and get pictures plus if there is any further help you need. We are proudly supported by great bathroomware brands; Aquatica, Englefield , Caroma, Clearlite, Newline, Athena, Weiss, Newtech and our own exclusive brand Alpha. Within the next five years we want to be the largest renovation company in Auckland offering our expertise in the bathroom renovation business to not only residential properties but also the commercial sector - Offices, Hotels, and Apartments etc. 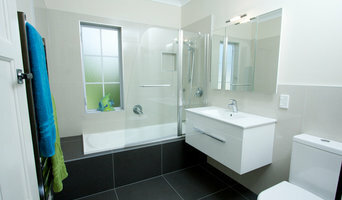 So when people think ‘bathroom renovations in Auckland', they think Bathrooms Inc. We have built a reputation in being highly reputable company that strives to provide outstanding customer service and provide clients with their Quality Dream Bathroom Renovation. All the way from concept to completion. Our aim is to help clients visualize their new bathrooms and what can be achieved for their individual budgets. We take a lot of pride in completing each renovation to a very high standard and are with our clients every step of the way providing advice and suggestions. Paul says “As a company we only make promises we can keep". 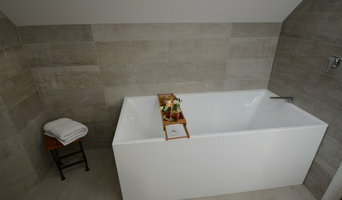 One of New Zealand's most experienced Bathroom Designers, I create highly functional, beautiful spaces. Every bathroom and every client is unique - I hugely enjoy working to create a practical and visually stunning result that suits each client perfectly. I love the challenge of finding solutions for difficult spaces! I can help with simply ideas and advice, a total bathroom design or a fully managed renovation. 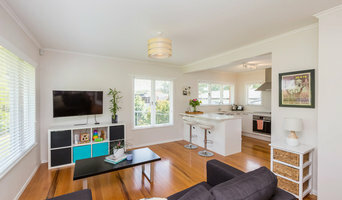 Auckland’s Trusted Kitchen & Bathroom Renovation Experts Superior Renovations is quickly becoming one of the most recommended Kitchen Renovation & Bathroom Renovation company in Auckland and it all comes down to our friendly approach, straightforward pricing, and transparency. Form Renovations are your bathroom and kitchen renovation specialists. We understand the decision to undertake a renovation project may coincide with feelings of stress and anxiety, which can override the excitement you should be experiencing. Living through any kind of construction is difficult, however bathroom and kitchen renovations are particularly so given they are critical to the daily function of a home. Form Renovations will provide the perfect solution for your bathroom or kitchen design and build project. Our experienced designers and project managers can help with every aspect of your renovation. We pride ourselves on delivering a professional design service and a stress-free renovation experience that promises your project delivered on time, and within budget. We provide a professional project management service solution for property renovation, based on a reliable and trusted team and network of tradesmen and suppliers which we closely work with and know and respect. Bathroom Concepts is a complete bathroom renovation company successfully working in the Auckland bathroom renovation industry for over 28 years. We have renovated over 1000 bathrooms and counting! Whether it’s a modest do up or a major renovation, we have the experience and expertise to handle your bathroom renovation needs. We provide a full design and project management service to take your dream bathroom from concept right through to completion. At our initial free consultation we will guide you through the design and renovation process, so you have a clear understanding of what your bathroom renovation involves. We’ll measure up your bathroom, discuss options for design layout and run over any products that you may have on your ‘wish list’. We’ll then put together a 3D bathroom design and a fixed price quotation for your bathroom renovation. We project manage the renovation work, ensuring that materials, fittings and tradespeople are on site when required, schedules are kept to and our high standards are maintained. The nature of renovations means that there may also be changes or additional items requested during the course of the renovation work, which we are more than happy to accommodate. We provide a full 5 year guarantee on all workmanship and products installed. With an eye for aesthetics and a practical approach to layout and design, bathroom designers and renovators can help you create a well-planned space that suits both your needs and personal preferences. Many bathroom renovators offer a full-design service, from concept to completion. This includes accessing the homeowner’s wants and needs to ensure they provide a functional layout and design that is also attractive and blends in with the rest of the home. In addition, designers have a wealth of knowledge in product trends, materials and finishes, and can take the hassle out of deciding upon and sourcing accessories and hardware. Find a bathroom renovator on Houzz. Scroll through this page to find the best bathroom renovators. Browse photos to see how their work compares to the scope of your project, read reviews to see how others rate their work, and message them directly to to ask any specific questions.